Fariz Ali, Ahmad Zaki Hj Shukor, Muhammad Fahmi Miskon, Mohd Khairi Mohamed Nor, and Sani Irwan Md Salim, 3-D Biped Robot Walking Along Slope with Dual Length Linear Inverted Pendulum Method (Dllipm), , Int J Adv Robotic Sy, 10 (2013). Ahmad Zaki bin Hj Shukor, and Yasutaka Yasutaka, Force Control of Musculoskeletal Manipulator Driven by Spiral Motors, AUTOMATIKA, 54 (2013), 74-88. Norafizah Abas, Ari Legowo, Zulkiflie Ibrahim, Norhidayah Rahim, and Anuar M Kassim, Modeling and System Identification Using Extended Kalman Filter for a Quadrotor System, Applied Mechanics and Materials, 313 (2013), 976-81. Fariz Ali, Naoki Motoi, and Atsuo Kawamura, An Improved Trajectory of Bipedal Robot Walking Along a Step with Dual Length Linear Inverted Pendulum Method , IEEJ Transactions on Industry Applications, 2 (2013), 121-31. Fariz Ali, Naoki Motoi, Kirill Van Heerden, and Atsuo Kawamura, Ground Reaction Force Reduction of Biped Robot for Walking Along a Step with Dual Length Linear Inverted Pendulum Method, Journal ref: Journal of Robotics and Mechatronics, 25 (2013), 220-31. Shahrum Shah b Abdullah, Hazriq Izzuan Jaafar, Razilah Abdul Rahim, and Arfah Ahmad,A Comparison Study between Two Algorithms Particle Swarm Optimization for Depth Control of Underwater Remotely Operated Vehicle, International Review on Modelling and Simulations (IREMOS), 6 (2013), 1687-94. Naizatul Shima Mohd Fadzil, Ruzairi Abdul Rahim, Mohd Safirin Karis, Siti Zarina Mohd Muji, Mohd Fadzli Abdul Sahib, Mohd Saiful Badri Mansor, Nor Muzakkir Nor Ayob, Mohd Fahajumi Jumaah, and Mohd Zikrillah Zawahir,Hardware Design of Laser Optical Tomography System for Detection of Bubbles Column, Jurnal Teknologi, 64 (2013). Hazriq Izzuan Jaafar, Z Mohamed, JJ Jamian, Amar Faiz Zainal Abidin, Anuar Mohamed Kassim, and Z Ab Ghani, Dynamic Behaviour of a Nonlinear Gantry Crane System, Procedia Technology, 11 (2013), 419-25. MS Jamri, and AM Kassim, Control of Maximum Power Point Tracking for Stand-Alond Photovoltaic System Using Voltage Comparison Technique , Australian Journal of Basic and Applied Sciences, 7 (2013), 229-36. MS Jamri, AM Kassim, and MR Hashim, A Voltage Mode Control Maximum Power Point Tracking for Stand-Alone Photovoltaic System , Applied Mechanics and Materials, 313 (2013), 503-07. M Nizam Kamarudin, S Md Rozali, and A Rashid Husain, Observer-Based Output Feedback Control with Linear Quadratic Performance , Procedia Engineering, 53 (2013), 233-40. AM Kassim, MS Jamri, MN Othman, MZA Rashid, and SJS Ismail, Design and Development of Low Cost Certified Green Building for Non Residential Existing Building (Nreb), Advanced Materials Research, 748 (2013), 1125-29. AM Kassim, MZA Rashid, MR Yaacob, N Abas, and T Yasuno, Effect of Reference Height Control System on Cpg Networks for Quadruped Hopping Robot, Applied Mechanics and Materials, 313 (2013), 498-502. AM Kassim, T Yasuno, S Sivarao, and HI Jaafar, Brake Motion Control for Quadruped Hopping Robot by Using Reference Height Control System, International Review of Mechanical Engineering, 7 (2013), 784-90. Anuar Mohamed Kassim, Ahmad Zaki Shukor, Chan Xin Zhi, and Takashi Yasuno, Exploratory Study on Navigation System for Visually Impaired Person, Australian Journal of Basic & Applied Sciences, 7 (2013). Kassim, Anuar Mohamed, Shukor, Ahmad Zaki,Zhi, Chan Xin Yasuno, Takashi, Performance Study of Developed Smart Eye for Visually Impaired Person, Australian Journal of Basic & Applied Sciences, 7 (2013). Anuar Mohamed Kassim, Sivarao Subramonian, and Hazriq Izzuan Jaafar, Brake Motion Control for Quadruped Hopping Robot by Using Reference Height Control System , International Review of Mechanical Engineering, 7 (2013), 784-90. NHA Rahim, AM Kassim, MF Miskon, AH Azahar, and H Sakidin, Optimization of One Legged Hopping Robot Hardware Parameters Via Solidworks, Applied Mechanics and Materials, 393 (2013), 544-49. S Md Rozali, M Nizam Kamarudin, MF Rahmat, and A Rashid Husain, Asymptotic Tracking Position Control for Nonlinear Systems Using Backstepping technique, Procedia Engineering, 53 (2013), 255-63. AR Samsudin, SL Tin, AM Kassim, and MA Amran, Programable Automatic Servise Time Reminder (Past-R) to Overcome Traditional Maintenance Approach, Australian Journal of Basic & Applied Sciences, 7 (2013). M.R. Yaacob, N.S.N. Anwar, N. Nordin, and M.N. Muhammad, Effect of Distance on the Maximum Data Transfer for Different Mounting Elevations of Xbee Pro Module in Viral Advertisement System, Advanced Materials Research, 748 (2013), 921-26., Australian Journal of Basic & Applied Sciences, 8 (2014). Nursabilillah Mohd Ali, Nur Maisarah Mohd Sobran, Syahar Azalia Ab Shukur, Mariam Md Ghazaly, and Ahmad Fayeez Tuani Ibrahim, Individual Processing Speed Analysis for Traffic Sign Detection and Recognition, in Smart Instrumentation, Measurement and Applications (ICSIMA), 2013 IEEE International Conference on (IEEE, 2013), pp. 1-5. KAM Annuar, NA Selamat, HI Jaafar, SH Mohamad, SHA Razak, AFZ Abidin, SFA Latip, MFAM Kasai, NA Nordin, and MA Mansor, A Preliminary Study on Camera Auto Calibration Problem Using Bat Algorithm, in Science & Engineering Technology National Conference 2013 (SETNC) (2013). M Khairi Aripin, YM Sam, AD Kumeresan, Kemao Peng, Mohd Hanif Che Hasan, and Muhamad Fahezal Ismail, A Yaw Rate Tracking Control of Active Front Steering System Using Composite Nonlinear Feedback, in Asiasim 2013 (Springer, 2013), pp. 231-42. Arman Hadi Azahar, Chong Shin Horng, and Anuar Mohamed Kassim, Faculty of Electrical Engineering, Universiti Teknikal Malaysia Melaka, Hang Tuah Jaya, 76100 Durian Tunggal, Malaysia, in Industrial Electronics and Applications (ISIEA), 2013 IEEE Symposium on (IEEE, 2013), pp. 7-12. Mohamad Noraffandi Daut, Nur Latif Azyze, Ibrahim MH Sanhoury, Mohamad Lukman Nafis, and Shamsudin HM Amin, Stable Dynamic Walking Gait Humanoid, in Intelligent Robotics Systems: Inspiring the Next (Springer, 2013), pp. 427-40. Norhazimi Hamzah, Yahaya Md Sam, Hazlina Selamat, and M Khairi Aripin, Ga-Based Sliding Mode Controller for Yaw Stability Improvement, in Control Conference (ASCC), 2013 9th Asian (IEEE, 2013), pp. 1-6. AF Hasan, MF Ahmad, MN Ayob, SAM Rais, NH Saad, AFZ Abidin, A Abussal, NA Nordin, SH Mohamad, and SM Karis, Application of Binary Particle Swarm Optimization in Automatic Classification of Wood Species Using Gray Level Co-Occurence Matrix and K-Nearest Neighbor, International Journal of Scientific & Engineering Research, 4 (2013), 50-55. SH Hasim, AFZ Abidin, MA Mansor, WALWM Hatta, EZ Abidin, ZA Ghani, AF Hassan, NS Khalid, NAM Rosid, and K Osman, A Preliminary Study of Wood Species Classifacation System Based on Wood Knot Texture Using K-Nearest Neighbour with Optimized Features from Binary Magnetic Optimization Algorithm Selection , in Science & Engineering Technology National Conference 2013 (SETNC) (2013). Shamsul Faisal Mohd Hussein, Amar Faiz Zainal Abidin, Muhammad Asraf Mansor, Mohd Badril Nor Shah, Ismail Ibrahim, Juwita Mad Juliani, Norhidayah Azman, Amirah‘Aisha Badrul Hisham, Mazleenda Mazni, and Nur Anis Nordin, A Preliminary Study on Firefly Algorithm Approach for Travelling Salesman Problem, in Science & Engineering Technology National Conference 2013 (SETNC) (2013). MM Ismail, EF Shair, ASM Noor, NLAMS Azyze, ARA Rahman, SM Karis, HI Jaafar, SH Mohamad, SR Aw, and AFZ Abidin, A Preliminary Study on Solving Knight s Tour Problem Using Binary Magnetic Optimization Algorithm, in Science & Engineering Technology National Conference 2013 (SETNC) (2013). Hazriq Izzuan Jaafar, A.R. Abdullah, Z. Mohamed, J.J. Jamian, A.M. Kassim, M.S.M. Aras, M.N.M. Nasir, and M.F. Sulaiman, Analysis of Optimal Performance for Nonlinear Gantry Crane System Using Mopso with Linear Weight Summation Approach, in Malaysian Technical Universities Conference on Engineering & Technology (MUCET) (2013), pp. 1-6. Hazriq Izzuan Jaafar, Nursabillilah Mohd Ali, Z Mohamed, Nur Asmiza Selamat, Anuar Mohamed Kassim, Amar Faiz Zainal Abidin, and JJ Jamian, Optimal Performance of a Nonlinear Gantry Crane System Via Priority-Based Fitness Scheme in Binary Pso Algorithm, IOP Conference Series: Materials Science and Engineering, 53 (2013), 12011-16. Hazriq Izzuan Jaafar, M. F. Sulaima, Z. Mohamed, and J.J. Jamian, Optimal Pid Controller Parameters for Nonlinear Gantry Crane System Via Mopso Technique, in 2013 IEEE International Conference on Sustainable Utilization and Development in Engineering and Technology (IEEE CSUDET 2013) (IEEE, 2013), pp. 85-90. Muhammad Herman Jamaluddin, Tomoyuki Shimono, and Naoki Motoi, Haptic Bilateral Control System with Visual Force Compliance Controller, in Industrial Electronics (ISIE), 2013 IEEE International Symposium on (IEEE, 2013), pp. 1-6. Muhammad Herman Jamaluddin, Tomoyuki Shimono, and Naoki Motoi, A Scaling Effect of Visual Force in Haptic Bilateral Control System, in Joint Technical Meeting on “Industrial Instrumentation and Control” and “Mechatronics Control”, IEE Japan (IEEJ, 2013), pp. 37-42. Muhammad Nizam Kamarudin, Abdul Rashid Husain, and Mohamad Noh Ahmad, Stabilization of Uncertain Systems Using Backstepping and Lyapunov Redesign, in The 4th International Graduate Conference on Engineering Science & Humanity 2013 (2013). AM Kassim, HI Jaafar, MA Azam, N Abas, and T Yasuno, Design and Development of Navigation System by Using Rfid Technology, in System Engineering and Technology (ICSET), 2013 IEEE 3rd International Conference on (IEEE, 2013), pp. 258-62. AM Kassim, HI Jaafar, MA Azam, N Abas, and T Yasuno, Performances Study of Distance Measurement Sensor with Different Object Materials and Properties, in System Engineering and Technology (ICSET), 2013 IEEE 3rd International Conference on (IEEE, 2013), pp. 281-84. A.M. Kassim, H.I. Jaafar, M.A. Azam, N. Abas, and T. Yasuno, Design and Development of Navigation System by Using Rfid Technology, in 2013 IEEE 3rd International Conference on System Engineering and Technology (2013), pp. 258-62. Alias Khamis, Azah Mohamed, Hussain Shareef, Afida Ayob, and Mohd Shahrieel Mohd Aras, Modelling and Simulation of a Single Phase Grid Connected Using Photovoltaic and Battery Based Power Generation, in Modelling Symposium (EMS), 2013 European (IEEE, 2013), pp. 391-95. N‘A Helan Nor, MNM Nasir, MF Sulaima, HI Jaafar, and AN Ramani, Photometric Measurement for Led Roadway Lighting at Kuala Lumpur–Karak Expressway, in Malaysian Technical Universities Conference on Engineering & Technology (MUCET) (2013), pp. 1-6. Liyana Ramli, Yahaya M Sam, and M Khairi Aripin, Vehicle Yaw Stability Control Using Composite Nonlinear Feedback Controller, in Electrical, Electronics and System Engineering (ICEESE), 2013 International Conference on (IEEE, 2013), pp. 33-36. S Md Rozali, MN Kamarudin, MF Rahmat, A Rashid Husain, and Amar Faiz Zainal Abidin, Controller Design for Position Tracking of Nonlinear System , in Industrial Electronics and Applications (ICIEA), 2013 8th IEEE Conference on (IEEE, 2013), pp. 173-77. MI Sabri, MF Miskon, and MR Yaacob, Robust Features of Surface Electromyography Signal, IOP Conference Series: Materials Science and Engineering, 53 (2013), 012019. NA Selamat, NA Wahab, and S Sahlan, Particle Swarm Optimization for Multivariable Pid Controller Tuning, in Signal Processing and its Applications (CSPA) (2013), pp. 170-75. MNAH Shaabani, MF Miskon, and H Sakidin, Hierarchical Self Organizing Map for Novelty Detection Using Mobile Robot with Robust Sensor, IOP Conference Series: Materials Science and Engineering, 53 (2013), 012018. Ahmad Zaki Shukor, and Yasutaka Fujimoto, Load Disturbance and Environment Effect on Biarticular Manipulator Driven by Spiral Motors, in Mechatronics (ICM), 2013 IEEE International Conference on (IEEE, 2013), pp. 483-88. Ahmad Zaki Shukor, and Yasutaka Fujimoto, Direct-Drive Position Control of a Spiral Motor as a Monoarticular Actuator, Industrial Electronics, IEEE Transactions on, 61 (2014), pp 1063-71. Mohd Fuadd Rahmat, Sahazati Md. Rozali, Abdul Rashid Husain, Performance Comparison of Particle Swarm Optimization and Gravitational Search Algorithm to the Designed of Controller for Nonlinear System, Journal of Applied Mathematics, 2014 (2014), 1-9. Asmala Ahmad, Mohd Khanapi Abdul Ghani, Sazalinsyah Razali, Hamzah Sakidin, and Noorazuan Md Hashim, Haze Reduction from Remotely Sensed Data, Applied Mathematical Sciences, 8 (2014), 1755-62. MK Aripin, Yahaya Md Sam, Kumeresan A Danapalasingam, Kemao Peng, N Hamzah, and MF Ismail,A Review of Active Yaw Control System for Vehicle Handling and Stability Enhancement, International Journal of Vehicular Technology, 2014 (2014). Bazli Bahar, Muhammad Fahmi Miskon, Norazhar Abu Bakar, Ahmad Zaki Shukor, and Fariz Ali, Path Generation of Sit to Stand Motion Using Humanoid Robot, Australian Journal of Basic and Applied Sciences, 8 (2014), 168-82. MF Baharom, AM Kassim, R Omar, MK Nor, ZH Bohari, MF Sulaima, WM Bukhari, KB Mohamad, and NS Jalil, Performance Study on Energy Efficiency by Considering Energy Saving Strategies for Restaurant Type Focusing at Indoor Lighting, Australian Journal of Basic & Applied Sciences, 8 (2014). M Fahezal Ismail, YM Sam, S Sudin, K Peng, and M Khairi Aripin, Modeling and Control of a Nonlinear Active Suspension Using Multi-Body Dynamics System Software, Jurnal Teknologi, 67 (2014). Tarmizi Ahmad Izzuddin, Zamani Md Sani, and Fauzal Naim Zohedi, Controller Design for Vector Controlled Ac Induction Motor Drive Using State-Space Design Methodologies, Advanced Materials Research, 903 (2014), 233-38. HI JAAFAR, Z MOHAMED, JJ JAMIAN, MSM ARAS, AM KASSIM, and MF SULAIMA, Effects of Multiple Combination Weightage Using Mopso for Motion Control Gantry Crane System, Journal of Theoretical & Applied Information Technology, 63 (2014). Hazriq Izzuan Jaafar, Zaharuddin Mohamed, Amar Faiz Zainal Abidin, Zamani Md Sani, Jasrul Jamani Jamian, and Anuar Mohamed Kassim, Performance Analysis for a Gantry Crane System (Gcs) Using Priority-Based Fitness Scheme in Binary Particle Swarm Optimization, Advanced Materials Research, 903 (2014), 285-90. Fairul Azni Jafar, Nurhidayu Abdullah, Noraidah Blar, MN Muhammad, and Anuar Mohamed Kassim, Analysis of Human Emotion State in Collaboration with Robot, Applied Mechanics and Materials, 465 (2014), 682-87. Muhammad Nizam Kamarudin, abdul Rashid Husain, Mohamad Noh Ahmad, Robust Bounded Control for Uncertain Nonlinear Systems: Application to a Nonlinear Strict Feedback Wind Turbine Model with Explicit Wind Speed Dynamics, Journal of Theoretical & Applied Information Technology, 63 (2014). Muhammad Nizam Kamarudin, Abdul Rashid Husain, and Mohamad Noh Ahmad, Variable Speed Wind Turbine with External Stiffness and Rotor Deviation Observer, in Applied Mechanics and Materials (2014), pp. 154-59. Ismail Mohd Khairuddin, Ali Abuassal, Ali Abdelrahim, Amar Faiz Zainal Abidin, Syahrul Hisham Mohamad, Mutaz Alsawi, Nur Anis Nordin, and Hazriq Izzuan Jaafar, Automatic Classification of Wood Texture Using Local Binary Pattern & Fuzzy K-Nearest Neighbor, Advanced Materials Research, 903 (2014), 315-20. Ismail Mohd Khairuddin, Ahmad Dahalan, Amira Sarayati, Amar Faiz Zainal Abidin, Yee Yang Lai, Nur Anis Nordin, Siti Fatimah Sulaiman, Hazriq Izzuan Jaafar, Syahrul Hisham Mohamad, and Noor Hafizah Amer, Modeling and Simulation of Swarm Intelligence Algorithms for Parameters Tuning of Pid Controller in Industrial Couple Tank System, Advanced Materials Research, 903 (2014), 321-26. Y.M. Sam M.H. Che Hasan, Kemao Peng, M. Khairi Aripin, M.F. Ismail,Composite Nonlinear Feedback for Vehicle Active Front Steering, Applied Mechanics and Materials, 663 (2014), 127-34. Zamani Md Sani, Shaharrudin Hj Syahid, Aminurrashid Noordin, Awangku Khairul Ridzwan Awangku Jaya, Tarmizi Ahmad Izzuddin, Hazriq Izzuan Jaafar, and Arfah Ahmad, Smart Fan Controller Add-on (Smafac) for Home Ceiling Fan for Home Power Optimization, Advanced Materials Research, 903 (2014), 227-32. MNM Nasir, MM Farith, Mohd Hafiz Jali, MS Jamri, and HI Jaafar, Development of Automatic Load-Shedding Strategy for Stand-Alone Photovoltaic System, International Journal of Applied Engineering Research, 9 (2014), 6895-906. Liyana Ramli, Yahya M Sam, Zaharuddin Mohamed, Muhamad Khairi Aripin, and Muhamad Fahezal Ismail, Optimal Composite Nonlinear Feedback Controller for an Active Front Steering System, Applied Mechanics and Materials (2014), pp. 526-30. MZA RASHID, HNM Shah, MSM Aras, MN Kamaruddin, AM Kassim, and HI Jaaafar, Metal Line Detection: A New Sensory System for Line Following Mobile Robot, Journal of Theoretical & Applied Information Technology, 64 (2014). Sahazati Md Rozali, D Rahmat Mohd Fuaa, Abdul Rashid Husain, and Muhammad Nizam Kamarudin, Design of Adaptive Backstepping with Gravitational Search Algorithm for Nonlinear System , Journal of Theoretical and Applied Information Technology, 59 (2014), 460-68. MI SABRI, MF MISKON, MR YAACOB, ABD SAMAD HASAN BASRI, YEWGUAN SOO, and WM BUKHARI, Mvc Based Normalization to Improve the Consistency of Emg Signal, Journal of Theoretical & Applied Information Technology, 65 (2014). MOHD FUAA’D RAHMAT SAHAZATI MD. ROZALI, ABDUL RASHID HUSAIN, MUHAMMAD NIZAM KAMARUDIN, Design of Adaptive Backstepping with Gravitational Search Algorithm for Nonlinear System, Journal of Theoretical and Applied Information Technology, 59 (2014), 460-68. Hairol Nizam Mohd Shah, Mohd Zamzuri Ab Rashid, Mohd Fairus Abdollah, Muhammad Nizam Kamarudin, Kok Lin Chow, and Zalina Kamis, Biometric Voice Recognition in Security System, Indian Journal of Science and Technology, 7 (2014), 104-12. NH Shamsudin, MS Mamat, AFA Kadir, MF Sulaima, and HI Jaafar, A New Technique for the Reconfiguration of Radial Distribution Network for Loss Minimization, International Journal of Applied Engineering Research, 9 (2014), 6765-77. NH Shamsudin, NF Omar, MF Sulaima, HI Jaafar, and AFA Kadir, The Distribution Network Reconfiguration Improved Performance of Genetic Algorithm Considering Power Losses and Voltage Profile, International Journal of Engineering and Technology, 6 (2014), 1247-58. MF Sulaima, MS Shidan, WM Dahalan, H Mokhlis, MF Baharom, and HI Jaafar, A 16kv Distribution Network Reconfiguration by Using Evolutionaring Programming for Loss Minimizing, International Journal of Applied Engineering Research, 9 (2014), 1223-38. Mohd Hafiz Taib, Muhammad Fahmi Miskon, Hamzah Sakidin, Al-Hafiz Shaabani, and Mohd Nurul, Defining the Boundary of Regions in Thematic Map Using Flexible Ellipse Shape Region, Australian Journal of Basic & Applied Sciences, 8 (2014). JJOY WINSTON, B BALAN PARAMASIVAN, A TAMIZHSELVI, RSD WAHIDA BANU, K RAMESH KUMAR, RSD WAHIDA BANU, MI SABRI, MF MISKON, MR YAACOB, and ABD SAMAD HASAN BASRI, Dynamic Sensor Relocation Technique Based Light Weight Integrated Protocol for Wsn, Journal of Theoretical and Applied Information Technology, 65 (2014). MR Yaacob, LW Teck, and NSN Anwar, Effect of Obstacle Angles on Signal Strength for Different Mounting Elevations of Xbee Pro Module in Viral Advertisement System, Advanced Materials Research, 903 (2014), 303-08. Nursabillilah Mohd Ali, Nur Maisarah Mohd Sobran, MM Ghazaly, SA Shukor, and AF Tuani Ibrahim, Traffic Sign Detection and Classification for Driver Assistant System, in The 8th International Conference on Robotic, Vision, Signal Processing & Power Applications (Springer Singapore, 2014), pp. 277-83. Mohd Bazli Bahar, Muhammad Fahmi Miskon, Norazhar Abu Bakar, Ahmad Zaki Shukor, and Fariz Ali, Horizontal Distance Identification Algorithm for Sit to Stand Joint Angle Determination for Various Chair Height Using Nao Robot, in The 8th International Conference on Robotic, Vision, Signal Processing & Power Applications (Springer Singapore, 2014), pp. 57-63. Ahmad Zaki bin Hj Shukor, Fariz bin Ali, Muhammad Fahmi bin Miskon, Mohd Shakir bin Md Saat, and Mohd Khairi bin Mohamed Nor, Musculoskeletal Robotics Modeling and Simulation, in The 8th International Conference on Robotic, Vision, Signal Processing & Power Applications (Springer Singapore, 2014), pp. 15-21. Mariam Md Ghazaly, Tan Aik Choon, Aliza Che Amran, and Kaiji Sato, Force Characterization of a Rotary Motion Electrostatic Actuator Based on Finite Element Method (Fem) Analysis, in Proceedings of the International Conference on Design andConcurrent Engineeting (iDECON2014) (2014). Mariam Md Ghazaly, and Kaiji Sato, The Evaluation of a Locking Function for a Vertical Stage Electrostatic Actuator, in The 12th International Conference on Motion and Vibration Control (MOVIC 2014) (The Japan Society of Mechanical Engineers (JSME), 2014), pp. 1-6. Tengku Nadzion Tengku Ibrahim, Thiyagarajan Marapan, Saipol Hadi Hasim, Amar Faiz Zainal, Norhaizat Omar Abidin, Nur Anis Nordin, Hazriq Izzuan Jaafar, Khairuddin Osman, Zailani Ab Ghani, and Shamsul Faisal Mohd Hussein, A Brief Analysis of Gravitational Search Algorithm (Gsa) Publication from 2009 to May 2013, in International Conference Recent Treads in Engineering & Technology (2014), pp. 16-24. Muhammad Herman Jamaluddin, Tomoyuki Shimono, and Naoki Motoi, An Integration Method between Vision-Based Disturbance Observer and Bilateral Haptic System for Robust Tracking of Target Object, in Advanced Motion Control (AMC), 2014 IEEE 13th International Workshop on (IEEE, 2014), pp. 723-28. Muhammad Herman Jamaluddin, Tomoyuki Shimono, and Naoki Motoi, Motion Navigation in Haptic Bilateral System Based on Vision-Based Force Compliance Controller Taking Object Coordinate into Account, in International Symposium on Industrial Electronics (ISIE2014) (IEEE, 2014), pp. 2234-39. Saidatul Nizan Nasroddin, Musa Mohd Mokji, Tan Kok, Amar Faiz Zainal Abidin, Rahman Amirulah, Nur Anis Nordin, Saipol Hadi Hasim, Hamzah Zakaria, Jefery Hassan, and Hazriq Izzuan Jaafar, Application of Particle Swarm Optimization in Optimizing Stereo Matching Algorithm’s Parameters for Star Fruit Inspection System, in International Conference Recent Treads in Engineering & Technology (2014), pp. 11-15. Norhaizat Omar, Eng Chieh Ong, Asrul Adam, Saipol Hadi Hasim, Amar Faiz Zainal Abidin, Hazriq Izzuan Jaafar, Hamzah Zakaria, Jefery Hassan, Nur Anis Nordin, and Khairuddin Osman, An Experimental Study of the Application of Gravitational Search Algorithm in Solving Route Optimization Problem for Holes Drilling Process, in International Conference Recent Treads in Engineering & Technology (2014), pp. 7-10. Vasanthan Sakthivelu, Chong Shin Horng, and Mariam Md Ghazaly, Modeling the Pneumatic Muscle Actuator Using Phenomenological Model, in The 2nd Power and Energy Conversion Symposium (PECS) 2014 (The 2nd Power and Energy Conversion Symposium (PECS) 2014, 2014), pp. 1-6. Mohamad Fani Sulaima, Hazahsha Nur Shamsudin, Hazriq Izzuan Jaafar, Wardiah M Dahalan, and Hazlie Mokhlis, A Dnr and Dg Sizing Simultaneously by Using Epso, in 2014 Fifth International Conference on Intelligent Systems, Modelling and Simulation (IEEE Computer Society, 2014), pp. 405-10. Ishak Taman, Nur Atika Md Rosid, Mohd Safirin Karis, Saipol Hadi Hasim, Amar Faiz Zainal Abidin, Nur Anis Nordin, Norhaizat Omar, Hazriq Izzuan Jaafar, Zailani Ab Ghani, and Jefery Hassan, Classification System for Wood Recognition Using K-Nearest Neighbor with Optimized Features from Binary Gravitational Algorithm, in International Conference Recent Treads in Engineering & Technology (2014), pp. 1-6. A. M. Kassim, T. Yasuno, H. Suzuki, H. I. Jaafar and M. S. M. Aras, Indoor Navigation System based on Passive RFID Transponder with Digital Compass for Visually Impaired People, International Journal of Advanced Computer Science and Applications (IJACSA), Vol. 7, No. 2, pp. 604-611, 2016. M. H. Jamaluddin, C. S. Seng, A. Z. Shukor, F. Ali, M. F. Miskon, M. S. M. Aras, M. Ghazaly and R. Ranom, "The Effectiveness of Fish Length Measurement System Using Non-Contact Measuring Approach," Jurnal Teknologi, Vol. 77, No. 20, pp. 67 -74, 2015. L. J. Wei, A. Z. Shukor and M. H. Jamaluddin, "Workspace Control of Two Link Planar Robot Using Micro-Box 2000," Jurnal Teknologi, Vol. 77, No. 20, pp. 9 -18, 2015. M. F. Miskon, S. M. O. Kanzal, M. H. Jamaluddin, A. Z. Shukor and F. Ali, "Design and Development of Lead-Through Programming Method Using Low Cost Incremental Encoder Feedback," Jurnal Teknologi, Vol. 77, No. 20, pp. 83-90, 2015. F. Ali, H. Jamaluddin, N. Abas, M. F. Miskon, A. Z. Shukor, M. A. Norizan and M. F. Juhari, "Design and Construction of RH2000 Cybernatics Hand," Jurnal Teknologi, Vol. 77, No. 20, pp. 121-125, 2015. A. Z. Shukor, M. F. Miskon, M. H. Jamaluddin, F. Ali, M. F. Asyraf and M. B. Bahar, "A New Data Glove Approach for Malaysian Sign Language Detection," Journal Procedia Computer Science, Vol. 76, pp. 60-67, 2015. M. A. Norizan, F. Ali, N. Abas, M. H. Jamaluddin, W. M. Bukhari, M. A. Borhan, M. F. Baharom, A. S. M. Nor, "Development of Linear Enveloped Surface Electromyography Circuit based on Forearm Muscle," Journal of Theoretical and Applied Information Technology , Vol. 81, No. 2, pp. 331-336, 2015. N.R. Ramli, S. Razali and M. Osman, "A Conceptual Model for Multi-Robot Cooperation Inspired by Immune Network Theory and Somatic Hypermutation" in 2015 IEEE Student Conference on Research and Development (SCOReD 2015), pp. 512-516, 2015. N.R. Ramli, S. Razali and M. Osman, “An Overview of Simulation Software for Non‐Experts to Perform Multi‐Robot Experiments”, in 2015 International Symposium on Agents, Multi-Agent Systems and Robotics (ISAMSR 2015), pp. 78-83, 2015. M. Osman, S. Razali, N. Zaki and N. Azizan, “Identifying the Potential of Mobile Application for eMUET: A Case Study”, in 2015 Fifth International Conference on e-Learning (Stellar ICeL 2015), 2015. 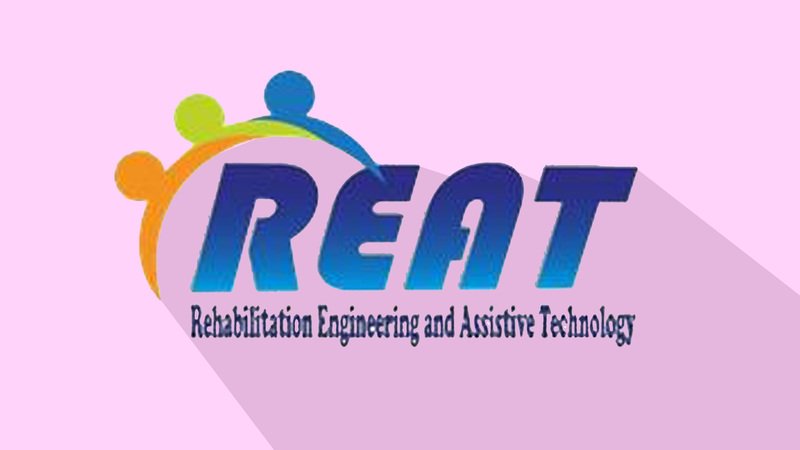 Anuar Mohamed Kassim, Takashi Yasuno, Mohd Shahrieel Mohd Aras, Ahmad Zaki Shukor, Hazriq Izzuan Haafar, Mohamad Faizal Baharom, Fairul Azni Jafar, "Vision Based of Tactile Paving Detection Method in Navigation System For Blind Person", Jurnal Teknologi, Vol. 77, No. 20, pp.25-32, 2015. Anuar bin Mohamed Kassim, Takashi Yasuno, Mohd Shahrieel Mohd Aras, Ahmad Zaki Shukor, Hazriq Izzuan Haafar, Mohamad Faizal Baharom, Fairul Azni Jafar, "Development And Evaluation Of Two-Parallel Crawler Robot By Using Proportional Controller", Jurnal Teknologi, Vol. 77, No. 20, pp.39-45, 2015. Anuar bin Mohamed Kassim, Takashi Yasuno, Hazriq Izzuan Jaafar, Mohd Aras Mohd Shahrieel, "Development and Evaluation of Voice Recognition Input Technology in Navigation System for Blind Person", Journal of Signal Processing, Vol. 19, No. 4, pp. 135-138, July 2015. L. J. Wei, A. Z. Shukor, M. H. Jamaluddin, "Investigation on the Effects of Outer-Loop Gains, Inner-Loop Gains and Variation of Parameters on Bilateral Teleoperation Control System Using Geared DC-Motor," International Journal of Mechanical and Mechatronics Engineering, Vol. 16, No. 1, pp. 54-69, 2016. H. N. M. Shah, M. Sulaiman, A. Z. Shukor, M. H. Jamaluddin and M. Z. A. Rashid, "A Review Paper on Vision Based Identification, Detection and Tracking of Weld Seams Path in Welding Robot Environment," Modern Applied Science, Vol. 10, No. 2, pp. 83-89, 2016. M. A. Norizan, F. Ali, N. Abas, M. H. Jamaluddin, M. F. Juhari, "RH-2000 Robotic Hand Control Based on Linear Enveloped Electromyography Signal From Forearm Muscle," ARPN Journal of Engineering and Applied Sciences, Vol. 11, No. 5, pp. 3336-3340, 2016.